A popular sitting president, George H. W. Bush, lost an election he was confident he could not lose. An unknown outsider was elected to the highest office in America. Deals were cut. The Republican and Democratic Parties took steps to stop any real debates from ever taking place again. The nomination of each party would go only to the approved and anointed candidate. Elections were orchestrated like a play. The GOP placed Bob Dole to lose in 1996 and John McCain to lose in 2008. Neither of them knew this going in. Watch the snippets of video below and read the materials on this site, beginning with History 1992 . 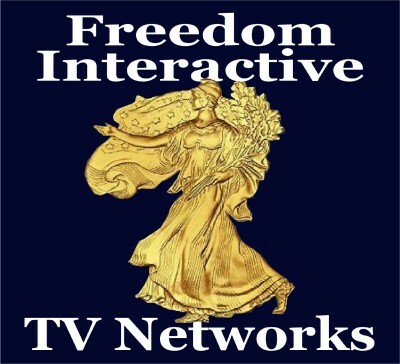 Liberty Rings was actually the name for the TV segment which included the Unedited Presidential Speeches, a short clip of which you can watch below. Liberty Rings includes the graphics, which were created by a local graphics business, Kachina Computer Graphics of Sunset Beach CA. Kachina pioneered Amiga Toaster Animate Graphics with 12" Laser Disks for Unedited Presidential Candidates Speeches, Liberty Rings. 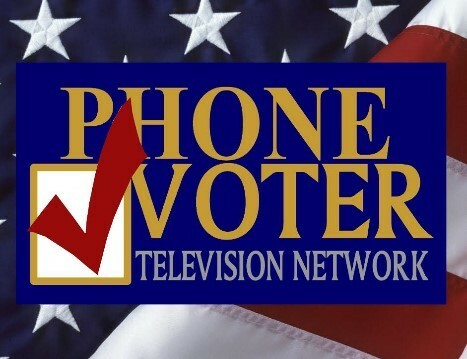 Gary Tomlinson, CEO of Telepoll 700-800-900#, worked with both PhoneVoter TV and Owners of America, Inc.
​ Brock took care of contacting 64 Presidential Candidates or their campaigns with Melodee Baird Paul and Dave Hansford of Keystone Communications. Governor Jerry Brown of California and Pat Buchanan, a well-known Republican figure, each availed themselves of PhoneVoter TV Network services. These unedited Presidential candidate speeches allowed voters to see how the candidate handled themselves with an audience which could be spontaneous and make comments. This is a very good way to get a sense of the who the candidate is. ​​ The unedited speeches provided to PhoneVoter by each candidate were run 16 hours a day for several weeks. Viewers could participate in the then-phonebased tally, Agreeing or Disagreeing with what was said by the candidate. Each candidate surged in the polls, gaining support at a rate of 2 points a day. Jerry Brown missed taking the Democratic nomination by about three days. Clinton won because he evaded giving a speech which allowed audience feed-back and stayed with his campaign strategy of 'Feeling your pain," without giving a hint of who he really was or what he would do if elected. Because of the success of the PhoneVoter approach Jerry Brown contracted for 800 numbers to provide the same service which he directly controlled. Brock d'Avignon had advised Brown to do something visual with the IRS. Brown had 13 news crews from the major media recording him throwing volumes of the IRS code books into a trash can in front of the New York Main Library. Both through PhoneVoter and through the MSM, this segment went, as we would call today, viral.